In the 18th and 19th centuries, Poughkeepsie’s strategic location on the Hudson River, halfway between New York City and Albany, made the city an important economic and political hub. That history can be seen today in Poughkeepsie’s architecture, from its quaint downtown to opulent mansions and dramatic bridges. To this day, the city continues to be a major cultural center in the Hudson Valley, with important art, music, and educational institutions. Yet like many other 19h-century industrial centers, Poughkeepsie experienced significant declines in population and economic activity since 1950 and continues its struggle to rebound. A quarter of all households live below the poverty level (three times the county rate), while graduation and career-readiness rates are low. More than half of all households pay 30 percent of their income on housing, and nearly a quarter of all residents receive food assistance benefits. There are some indications that a turnaround may be underway. The number of higher-income residents has grown, efforts to renew the downtown seem to be gaining traction, and the city is taking advantage of its reputation as a cultural center. City leaders are hopeful that the high residential vacancy rate is an opportunity to grow without displacement. Local leaders are hoping for an economic turnaround that is inclusive of the city’s Black and Hispanic population. 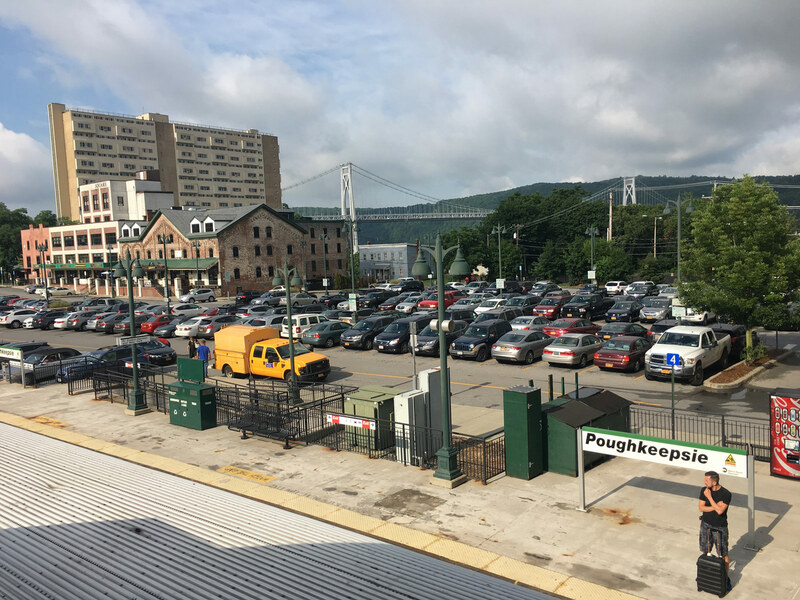 The recommendations in the Fourth Regional Plan would help Poughkeepsie become an engine for economic and equitable growth in the Hudson Valley. The plan recommends state incentives to build and preserve market-rate and affordable homes, and promote healthier living conditions in the city’s historic, but often poorly maintained, housing stock. Strengthened local transit service would provide more reliable connections for residents to job centers and other essential services withi n the city. As Poughkeepsie grows, green infrastructure should be included in all new development to protect the city’s combined sewer system. Partnerships with Poughkeepsie’s many anchor institutions—such as Vassar College, Marist College, Dutchess Community College, St. Francis Hospital, and Vassar Brothers Medical Center—would bring jobs and economic opportunities to surrounding e communities and help revitalize Main Street as a downtown retail and entertainment hub. The fourth plan includes many recommendations to better connect Poughkeepsie’s economy to New York City’s and the region’s. The plan’s regional rail proposal would provide residents and businesses with faster and easier transit access to a number of destinations in the tri-state area. Also critical is greater investment in high-speed and affordable internet service, as identified in Poughkeepsie’s Main Street Economic Development Strategy.